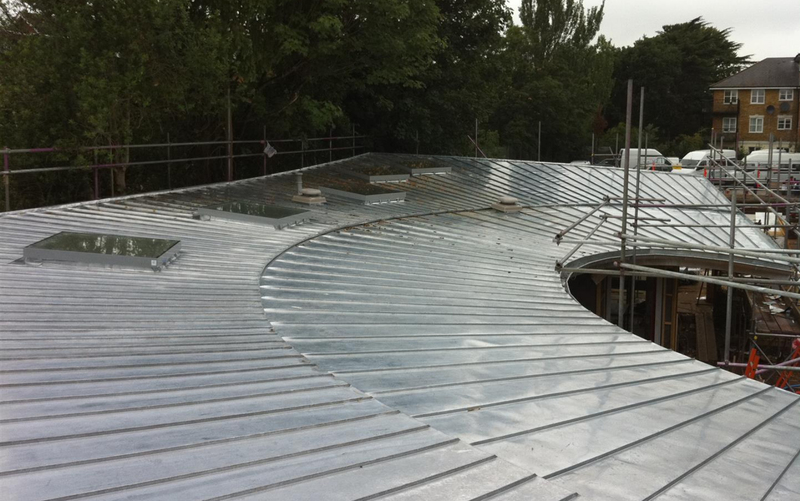 Here at Eco Roofing, we install copper roofs to properties in the Epsom area. Copper is a fantastic roofing material as it incorporates high thermal properties with flexibility which makes it a great roofing material for all types of properties. The team here at Eco Roofing are experienced and highly knowledgeable in installing copper roofs and can meet your requirements effectively regardless of what they may be. The cost-effectiveness of copper roofs – As far as durability is concerned, copper roofing is a lot more beneficial compared to other roofing materials such as slate. Our copper roofs can last up to 75 years when they are maintained; they are resistant to elements such as rain, hail and mildew; as well as being one of the most fireproof materials available. Environmentally friendly – Here at Eco Roofing, we adore anything that it environmentally friendly and copper roofing is definitely one of them. Here’s why…metal reflects heat rather than absorbs it, meaning copper roofing makes it easier to control the costs associated with heating in your property. When you consider this and the durability and cost-effectiveness of the material, copper roofing comes highly recommended as an amazing way of reducing environmental footprints. Lightweight and flexible – Copper is a very lightweight material which makes it quick and easy to both transport and install. Installing copper roofing reduces the amount of stress that is placed on the structure of your building. With our specialist roofers and the flexibility of copper, we are able to install copper roofing to uneven or irregular roof shapes. If you are looking for a roof that will combine unsurpassed quality and exceptional style, then look no further than copper roofing installed by us. Once installed by members of our professional team, your copper roof can last for up to 75 years. Copper roofs start off with a beautiful golden-bronze colour, eventually they develop a patina that changes over time. The time frame and shades of colour each roof goes through vary, but eventually, the once copper roof will end up a brilliant and vibrant green. If you are within the area of Epsom and would like to find out more benefits of copper roofs installed by us; please don’t hesitate to get in touch with a member of our team today by calling 020 8657 7725.